This will be the first Revelstoke event of the season. Shake off the orienteering cobwebs with a forest event on the MacPherson map. 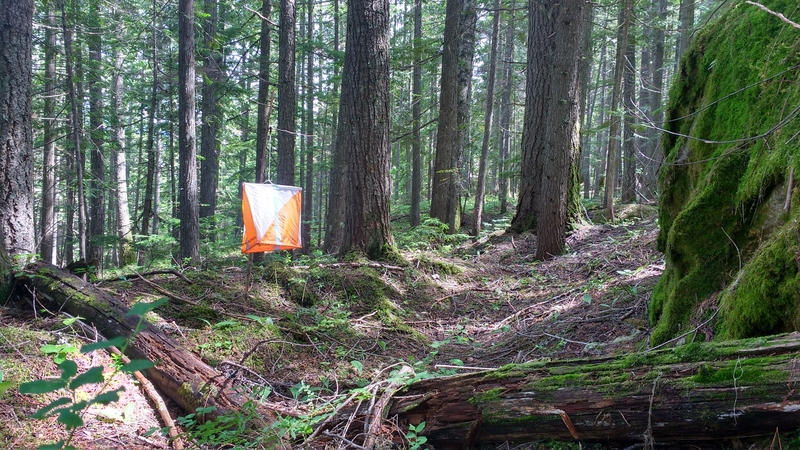 What: Orienteering is an activity where you navigate your way along a series of checkpoints using a detailed map. Each participant chooses their own route between the controls. Orienteering can be a competitive activity (the fastest time to find all the controls in the correct order wins!) or a recreational activity (stimulate your mind while getting exercise and fresh air!). Where: Exact location still TBD. Stay tuned for details. These times are approximate. Self seeding will be used for your start time. Feel free to register later than these suggested times if you are confident that you can complete the course before the course closing. Someone will be available at the Start/Finish the entire time. We will have three different courses to suit various skill levels and physical abilities. The easier course can be completed by staying on roads and trails with only short excursions (5-10m) off trail to find the control. If you are adventurous off trail short cuts will shorten the course. This course can be completed without a compass if you are confident reading a map. The intermediate course will take you off trail much more (though most controls are mostly within 50m of a trail). The fastest route between controls will often be overland however for most controls there is still a longer/safer trail route that can be chosen. Having some understanding of concepts such as attackpoint/catching feature/handrail, and taking into account vegetation runability for your route choice (white vs green forest) would be helpful. A compass may also be useful to confirm that you are leaving the trail in the right direction! The intermediate plus course adds a few extra controls which increase the distance, off trail travel, route choice and likelihood of getting your feet wet! :) Some controls will require you to take a bearing and follow it. Choose this course if you have done an intermediate course before and want a little more challenge... though this course will still be technically easier than running in your age category at a competitive event. Click the "+ Register" button next to your desired course. Follow the instructions. This signs you up for your course so we know how many people are coming to the event and how many maps to print of each course. Help us keep costs low and save the environment by preventing over-printing of maps! If you don't sign up we can't guarantee you a map either! Wear something comfortable that you don't mind getting a little dirty! Long pants and shirt are advisable so you don't get your extremities scratched up. Don't wear anything that you would be disappointed to see get some holes in it! Getting your feet wet is a possibility so bring a change of shoes. Bring a compass and whistle if you have them. Bring a cell phone for emergency use. If you want some post event nutrition, bring your own water and snacks. The club will provide SI sticks for timing (we have about 30). The club also has 10 thumb compasses (both right and left) that are available to borrow for the event (first come first served). $5 per person (max $10/family) to cover cost of maps and insurance. All participants must be club members to take part - the membership is fee is only collected at the second event that you attend. It is helpful to fill out the membership form online prior to coming to the event (though we will also have paper forms available on site). Events occurring in and around Revelstoke. These events are all shown in a blue font.